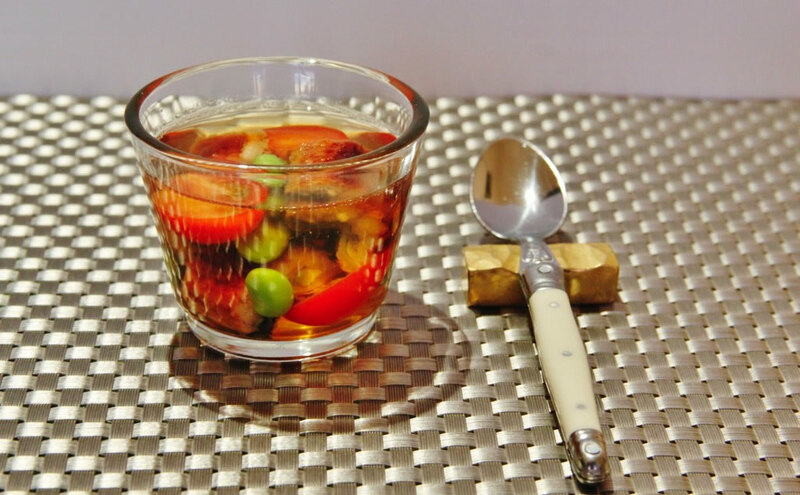 put Gelatine powder and water in a small bowl and mix well. Pour Dashi stock into a sauce pan, add soy sauce and salt then put on medium heat. Add gelatin, stir until melted then turn off the heat. 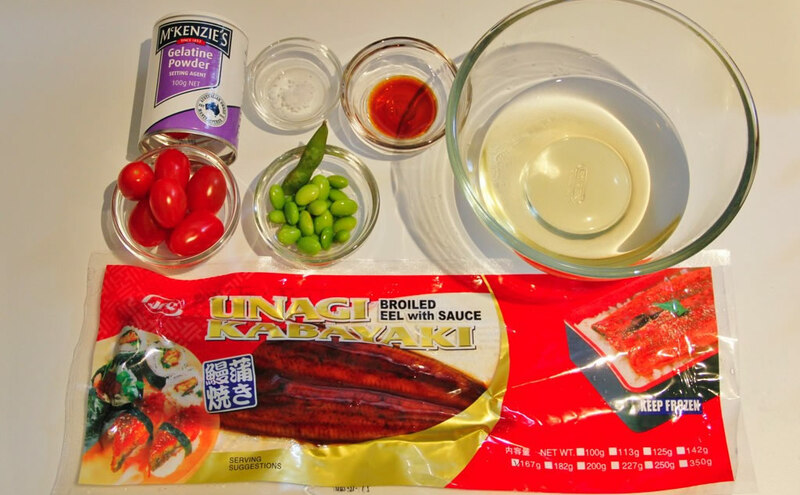 Pour the mixture into glass of your choice, then put eel, tomato and edamame. Leave in the fridge for 1-2 hours until jelly get set.